With Readly you can read Cloud Computing Complete Manual and thousands of other magazines on your tablet and smartphone. Get access to all with just one subscription. New releases and back issues – all included. Learn how to make the most of the cloud for home & business! Cloud computing has been with us for a while now, giving home, small to medium business and enterprise users a new way in which to support and utilise their infrastructure and data. While the cloud may come with many concerns, chiefly that of security of data, it’s one of the fastest growing and interesting aspects of modern computing. 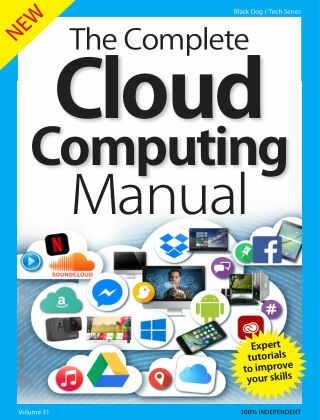 With The Cloud Computing Guidebook we will show you how to implement and better utilise the cloud: personally or for your business. We also look at how to secure and even build your own cloud service. 100% unofficial.